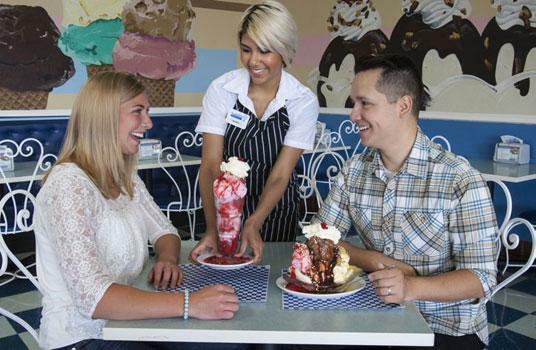 Leatherby’s Family Creamery has been Sacramento’s favorite ice cream parlour since 1982. Their award-winning ice cream is made fresh daily and served in huge portions, topped with their signature Hot Fudge and Caramel Sauces. Leatherby’s also offers a large variety of delicious sandwiches—from their specialty crab sandwich to great burgers. Leatherby’s is the perfect old fashioned ice cream parlour for families, friends, large groups or parties. For ice cream, choose Leatherby’s. Sun–Thur: 11 a.m.–11 p.m. Fri–Sat: 11 a.m.–12 a.m.